Unless you have been living under a rock, you must have definitely heard of Oumuamua or the asteroid which likely originated outside the Solar System. Its been all over the web, newspapers, YouTube, you name it. Moreover there is a likely chance that this object must be artificial, or to say alien. So much so that, Breakthrough Listen is scanning this object for radio signals which is a key signature for artificial objects. Sadly it hasn’t come up with anything positive yet. But before we dive into that, let’s take a brief summary on what this object actually is and where it came from. Oumuamua or as it was orignally designated 1I/2017 U1 was discovered by Robert Werryk using the Pan STARRS telescope on 19 October 2017. It was later named in Hawaiin which roughly translates to ‘messenger from afar arriving first’. Orignally thought to be comet, further observations revealed the absence of a coma and a comet tail which confirmed it was an asteroid. Calculations on the object’s trajectory reveal it came from the direction of the star Vega and is now outward bound from the Solar System. It’s trajectory brought it from above the plane of the Solar System and it is now on its way out, never to return. The weird path it took was the main cause for scientists to believe that this object was interstellar in origin. First of all this object is extremely elongated, with a width of 35 metres and length about 7 times that size (about 235 metres). These results come from its extreme variations in brightness. If you were to look at this object, it would look something like this. The image does the talking for why this object is so strange. No other natural body in the Solar System has such a shape. Adding to the mystery scientists have no proper explanation as how it got that shape. Please note that the above picture is an artist’s impression and not an actual image. We think that the object may look like this due to extreme variations in brightness. Moving on, Oumuamua has a rich metal content with very little traces of water. Measurements suggest a very deep red colour for the object which is consistent with models of an object that has travelled through interstellar space. The deep red colour is imparted when cosmic rays from the interstellar medium irradiate the metal content in the body over millions of years. Moreover, the object is tumbling. As shown in the clip below, unlike most asteriods from our Solar System, Oumuamua is tumbling through space. Most asteroids rotate stably on their axis every few days but Oumuamua tumbles around its axis every 7-8 hours. Observations suggest that the object is travelling at a phenomenal speed of 26 km/s. Its orbit brought it from above the plane of the Solar System and its extreme velocity exceeded the escape velocity of the Sun. Thus, the object will never return and is currently speeding away berween the orbit of Mars and Jupiter. This extreme speed makes it difficult for any man made missions in the near future as even the fastest probes like Voyager and New Horizons have hit speeds of only 17 km/s. 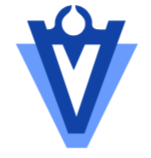 Although no confirmed theories exist about the object’s origin, the most accepted theories suggest it came from the direction of the star system of Vega. It is likely that the Solar System is the first star system Oumuamua has entered since its ejection from its parent system. Some say it has been travelling through space for more than 45 million years. Thus very little is known about the object’s true origin except that its not from the Solar System. Scientists think that this object maybe the fragment of a destroyed planet, which might explain its odd shape. We are not saying its aliens, but its aliens. With that little briefing, let us now really consider the possibility of whether this object is artificial. The debate is on but there are few suggestions which might consider the fact that this is indeed a alien craft. One of them is the strange shape of the object. 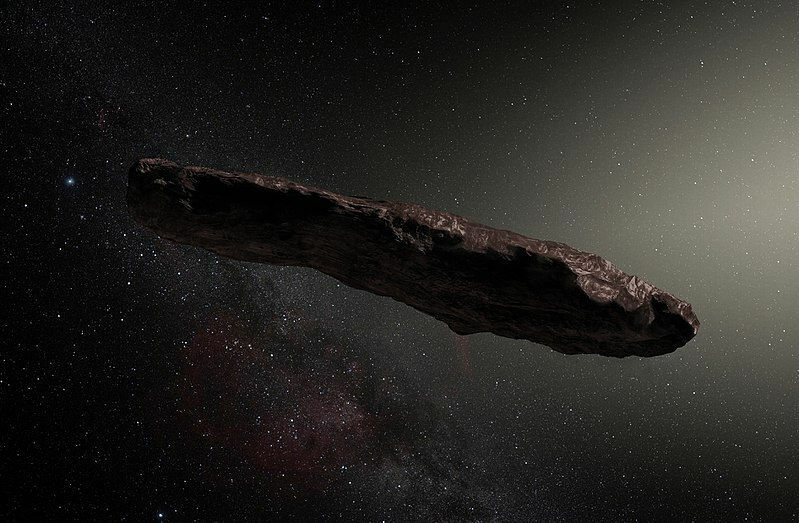 Any interstellar craft would be best suited with a shape of the cigar, or like the one observed with Oumuamua. This shape prevents erosion by the interstellar medium and provides a perfect streamlined shape. But then there are other theories which suggest that the object is indeed natural. For example, the deep red colour of the object is due to radiation of cosmic rays which is consistent with a natural object. Moreover the closest this object got to Earth was 60 times the distance between the Earth and the Moon. At this distance, any alien race will only be able to answer the question if life exists on Earth but wont be able to study it in detail. Then again, there is a possibility that this object may be an abandoned alien ship, destroyed millions of years ago, floating through the void. This brings us to the Breakthrough Listen program. Breakthrough Listen is a program dedicated to search for extraterrestrial life via searching for signals from intelligent beings. 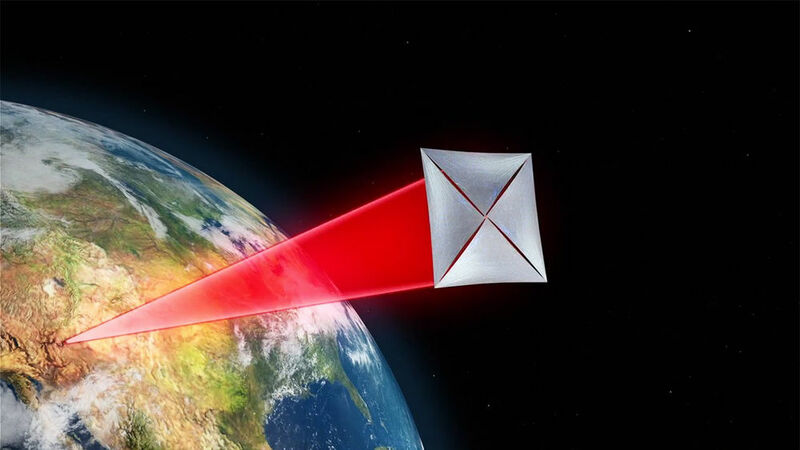 Its a component of Yuri Milner’s Breakthrough Initiatives which also proposed the Breakthrough Starshot mission to Alpha Centauri, the nearest star to the Sun. This program has now turned its ear to Oumuamua to search for radio signals this object maybe transmitting, if its indeed artificial. Until the now the results have showed no signs of life. However its an interesting prospect that the first interstellar object posseses such strange features and maybe the answer to the age old question, ‘Are we alone in the Universe?’ We maybe seeing the remenants of an age old space battle or the ship of alien interstellar travellers. Even if this object does turn out to be natural, it will be an interesting fact to know how it got that shape. Unfortunately, Oumuamua is on its way out of the Solar System, never to return. Thus mission plans to this object must be made fast. At a speed of 26 km/s, even the fastest man made probe (Voyager and New Horizons) falls short of 9km/s or so. However missions like Project Lyra have been considered which if successful may get us to Oumuamua within 5 to 10 years. The ideas include nanobots powered by solar or laser driven sails which push the spacecraft at fifth the speed of light (299,792,458 m/s) as shown above. However, we must act fast due to Oumuamua’s high speed. Moreover problems such as interstellar dust, steering and slowing down to study the object in detail persist. Humanity must push its technology to the limits of what is possible today to achieve this mission. Who knows, maybe there are more such objects on their way here with their own story to tell. Maybe many interstellar objects arrived way back in history and mixed with the asteroids in our system that we never realised. And if we do succeed in sending a mission to Oumuamua, we may discover tantalising clues about how the Universe works outside this family of 8 planets and the Sun.